We were up around McKinney for a Saturday night wedding and had the better part of a day to kill until the ceremony. Having researched the vicinity to discover any natural areas that might provide us a brief respite from the city and suburbs, we found none we hadn’t already visited. So instead we decided to head down to Parker to see the Southfork Ranch of TV’s Dallas fame. Like most people who visit the ranch, my first reaction was surprise at how small it was. But that was only the start of what would transpire there. 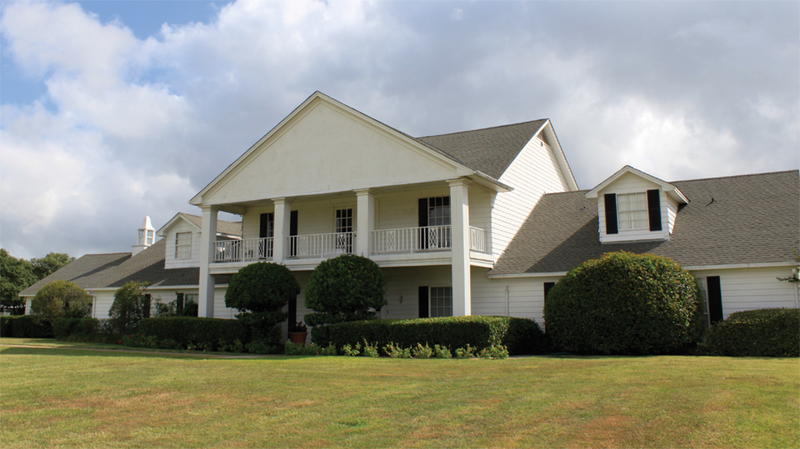 I am, without a doubt, the least likely person to ever tour Southfork, having never watched even a single episode of the show. Still, it was hard to be alive in the ‘80s and not hear about the show constantly— at work, on the radio, on other TV shows, even at home (yes, other family members watched it religiously). From what I saw and heard, my impression of the show was that it was a soap opera about a bunch of very rich, and very unhappy people. And for some reason, being at the ranch and thinking about those characters reminded me of an old Brooks and Dunn lyric I once heard: “Happiness isn’t just for high achievers.” But, of course, as a natural follow-up on that thought, I realized that, at least in the case of this show, even high achieving did little to provide true happiness. I know the show was just fiction, but it still got me thinking. Over the centuries, there have been lots of ideas about what makes us happy. Some people believe happiness comes from external sources, like having wine, women and song; lots of big-boy toys; wealth; power; etc. We often call these people hedonists. And there are some who believe that, while all the goodies are fine, that’s not enough. To be truly happy, we must also do all we can to avoid pain. That great party on Saturday night is less fun when you know you are going to be sick Sunday morning. These people are called epicureans. Others say happiness is simply a matter of truly appreciating the things you have. I certainly know several unhappy people who are always needing more and more new stuff, new places to go, even new houses, and they never really do come to appreciate the things they already have. But there are also those who believe happiness is an internal thing, that we create it by the way we think and the decisions we make. These people are called stoics and I think theirs is probably the correct reading. Over the years I have come to see that everyone has the ability to be happy. It is something we choose rather than something that happens to us. The stoics say happiness comes from the way we see events rather than from the events themselves. An event in our lives has no inherent quality, good or bad, in and of itself. It is only our opinion of that event that gives it a value, positive or negative. If the stoics are correct, if we are able to choose to make ourselves happy through our decisions, it stands to reason that we should also be able to make ourselves high achievers in the same way. After all, our level of achievement, like our level of happiness, is merely the end result of the decisions we make. Do we want to achieve or not? How willing are we to work for it? Each time an opportunity comes up, how do we respond? If we follow that line of thinking, Brooks and Dunne appear to be wrong. After all, personalities tend to be consistent. It would stand to reason that someone who is a go-getter in the realm of happiness would be equally competent in the area of achievement and vice-versa. Yet, we all know of highly successful people who are miserable in their lives, like the characters in Dallas. Most of us also know very happy people who have next-to-nothing by today’s standards. These two examples would seem to support Brooks and Dunn’s position. So how do we explain this apparent contradiction? While standing in the living room of the main house at Southfork, I decided Brooks and Dunn have missed the mark. Don’t get me wrong. I’m not saying you need wealth and fame to be happy…but I firmly believe that, to be happy, you do indeed need to be a high achiever. I’ve talked to a lot of really happy people. Every one of them saw themselves as high achievers—even the ones who are living from paycheck to paycheck. They just define success differently than the rest of us. When I think of the things that I believe make me successful in life, I don’t think about degrees earned, jobs held or books published. That’s all just “stuff.” Instead, I see success in the friends I maintain, the appreciation I have for the people and the world around me and the fun I have each and every day. All the other happy people I hang out with feel pretty much the same way. After we toured the main house, we walked around the ranch for a couple of hours. We toured the stables and even sat out under one of the enormous oaks that lined the driveway, enjoying the autumn afternoon. You know, it is a good thing the characters of Dallas weren’t real. If they were, one could become really depressed sitting there thinking about their lack of happiness—and of success. Then: Who shot J.R.? I guess I will have to watch yet another season of Dallas to find out. Now: What can I do today to find more happiness? I know. I’ll read an article by Michael Gos, my favorite writer! As usual, Michael, you not only entertain me with your stories, you make me think! Love it! Many, many thanks to Michael for a most interesting and well written article. I too have never seen an episode of this program. I hate to admit so much agreement with my conservative friend! I have to add that I like what Aristotle said, Happiness is activity of the soul in accord with human excellence. Working hard to develop our talents is a significant part of happiness. Aristotle would add that you need to have the good fortune of having good family and children as well as living in a safe country where there are educational and economic opportunities.